Fun addition card game from Guided Math! Kids line up cards in four rows of five. Then, they flip two cards over. If the sum of the two cards equals 10, they keep the cards and replace the cards with two more from the deck. The game ends when there are no more matches left. A match includes 6 and 4, 7 and 3, 8 and 2, 5 and 5. Whoever has the most cards wins the game! Note: You can change the game and have kids flip ______. Give them a different sum each time they play. For example Flip 5, kids look for 0 and 5, 1 and 4, 2 and 3. Great idea. I'm pinning. Thanks! This is my first time at your blog and I LOVE IT! Reading your profile, it seems you are not afraid of change, will try anything and have quite a unique background! I am am just a mom, recently retired Early Childhood teacher and now a Grammy-Homeschool teacher. I think your creative gifts and educational bent will compliment and incredibly HELP me as I begin this new phase of my life. Thanks for being here! Thanks for the nice compliment! After I graduated, I worked as a fashion designer, fashion forecaster, part time art teacher, preschool teacher, junior graphic designer, and trend analyst! I really missed teaching when I was out of the classroom. So now I am earning a degree to teach K-3. I'm really excited. I'm glad you are finding things you like. I have been studying the updated core curriculum and have been trying to come up with fun, creative activities for kids. I've always been a visual learner myself. Plus, I want kids to love school and have fun learning! This will be a fun game to add to our curriculum this year. Thanks so much for posting so many fun activities. We homeschool and I love to "teach" as much as I can through games and hands on activities, your site has been a wonderful resource. My kids (ages 10 & 7) tried this for the first time tonight, and we loved it! What a great idea! Thanks! Hi friend! I thought you might want to know that your image and content are being used here: https://www.facebook.com/photo.php?fbid=491477740862921&set=a.462989770378385.112426.460995113911184&type=1&theater without credit given to you. I've just spent the day dealing with the owner of this page who feels that "if you put it on the web it's fair game". Just thought you would like to know. If you report her for copyright violation FB will remove the post. 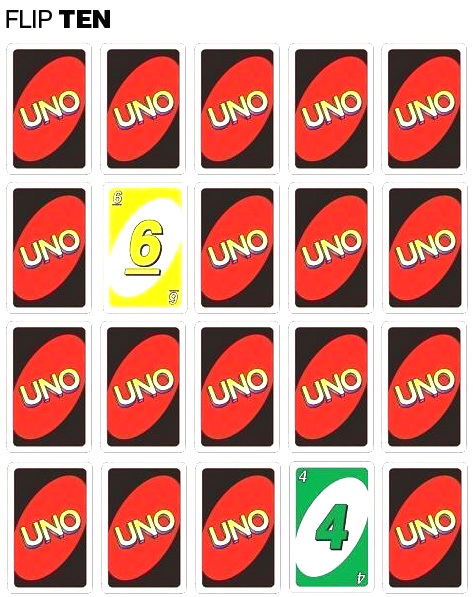 Wonderful way to use UNO cards. I teach 3rd grade and would change it into a multiplication concentration game. I am going to put this game into the rotation. Thanks!! Everyone can produce Easter cards and any wish cards you just need to upgrade your Cartridge Ink to print colorful cards also make sure to use quality paper and thicker card is best for printing cards if your printer is supporting.